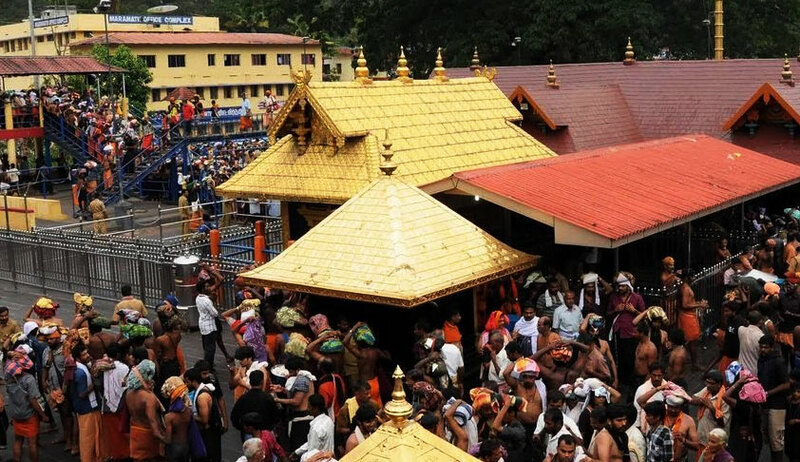 Home > Blog > CULTURE & ENTERTAINMENT > Trending > Supreme Court Puts An End To Period Shaming in Sabarimala. Now, What’s Next? Menstruating women are not allowed to enter this temple at all. But even women who are not menstruating have to adhere to several codes, including a strict dress code, to be able to enter. According to the priests here, women are not allowed in because they worship a celibate deity. In this case, however, there’s another angle. “Legend” has it that the deity curses women who enter his temple. And of course, women are “temptations” anyway for a brahmachari. This is another place of worship that places all the burden of purity on women. For them, women are impure. As always. And if a woman should enter the premises, she will damage the purity of this place beyond repair. Women have been trying for decades to break free of these oppressive practices and attain religious equality. Some women have broken through barriers, quite literally, and entered these places of worship. Until recently, even the popular Haji Ali Dargah restricted the entry of women until the judiciary overruled this archaic system. However, the places in the list above, and many others, still resist. Like Sabarimala that needed the Supreme Court to intervene to finally recognise women’s rights, perhaps these places too need more help. Apart from religious equality, we hope this verdict also brings a change in mindset towards women and menstruation. Instead of ostracising women for bleeding, we hope this country will now see them as equal citizens, entitled to every fundamental right, every legal privilege given to men. Menstruating or not.